Targeted health promotion is proving to be a game changer in patient care. 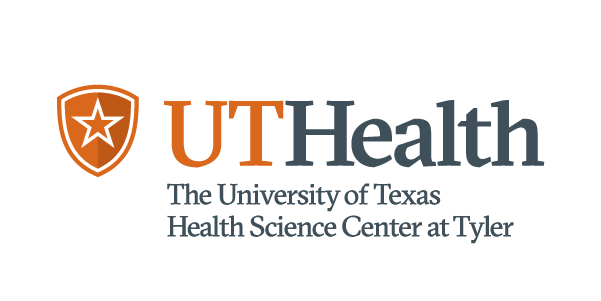 The Texas Health Journal interviewed Celette Sugg Skinner, Ph.D. Professor and Chair, Department of Population & Data Sciences about the growing field of health promotion. Working in the field of communications for several years has proved useful for Celette Sugg Skinner, Ph.D. in the field of health promotion. “I had learned about differences between different kinds of target markets and market segmentation, but at that point, most health messages were single method, like an educational brochure. And they were supposed to be effective for everybody who received it. But everybody knew that wasn't true because they couldn't have just one set of messages that really worked well for everyone,” says Dr. Skinner. As part of her dissertation research, Skinner targeted letters to women who needed mammograms using algorithms. Now as Professor and Chair of the Department of Population & Data Sciences at the University of Texas Southwestern Medical Center, Dr. Skinner was also part of a team of researchers who developed a Cancer Risk Intake System (CRIS) for colon cancer. Figuring out what kind of colon cancer screening test a patient should have based on risk can be complicated and also based on multiple factors. “Even with family history which tests you should have depends on which relative were diagnosed and how old they were diagnosis and so forth. And so it can be kind of complicated to figure out who needs what. If you're, you're sitting there and that 10 minute doctor's appointment and the information about that would indicate which kind of testing you need is not routinely collected, not even in an electronic health record, ” says Skinner. CRIS is done on a tablet and asks questions about risk factors and age at diagnosis. It then prints out tailored information for the patient and also for use by the doctor to assist in establishing what tests the patient actually needs. The system was tested at a randomized trial at UT Southwestern and patients who used it were more likely to undergo guideline-based screening. It demonstrates how important obtaining health information is at the point of contact of primary care because it is something the physician can recommend or do during the visit. One of the areas of research for The Department of Population & Data Sciences is healthcare delivery, the goal is to ultimately improve clinical practice and community health. “We cover a lot of ground and then we work with a lot of clinicians who have secondary appointments in our department who have taught primarily appointed in clinical departments like medicine and psychiatry and pediatrics and so forth. And they collaborate with us to do observational studies in intervention trial like we do what's called comparative effectiveness trials and pragmatic trial to see, to try and find the best way to deliver healthcare,” said Skinner. The most important aspect of this is how can the intervention be delivered widely. “We want to continue to get bigger and do even more of these large cohort studies and use of big data...We're always finding new problems, testing new interventions, figuring out how those can be implemented into practice,” said Skinner. Being able to integrate all this information into electronic health records means a patient will receive a more thorough diagnosis and hopefully better care in the long run.